Billed as North America's largest hockey collector show, the Sport Card & Memorabilia Expo in Ontario, Canada acts an NHL collecting haven for the hobby each spring and fall. It is also the only place to find the 2016 Upper Deck Fall Expo Hockey promo cards. Building on the flagship hockey set—2016-17 Upper Deck Series 1 Hockey—the 2016 Upper Deck Fall Expo Hockey base set is a limited Midnight parallel for all 200 cards, numbered to 25 copies. These are found in the standard Box Breaker Wrapper Redemption packs along with Victory Black Rookie Cards (#/175) and Parkhurst Priority Signings Autographs (#/75 or less). 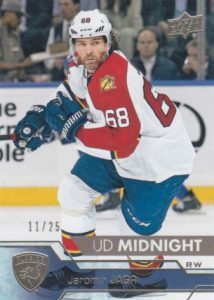 Upper Deck Instant Redemptions inserts offer a rare shot at UDA memorabilia. 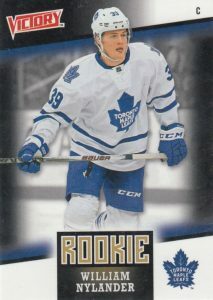 Not found in the main packs, but still exclusive to the show, 2016 Upper Deck Fall Expo Hockey also includes a pair of Toronto Maple Leafs SP Draft cards for Mitch Marner and William Nylander. Only available via the Case Breaker Wrapper Redemption, Parkhurst Exclusive Priority Signings Autographs are the rarest of the bunch with only five copies for each card and a stacked checklist featuring Gretzky and McDavid. 2016 Upper Deck Fall Expo Hockey packs are obtained through a variety of specific on-site purchases of UD products. A complete breakdown of the redemption requirements is found on the Upper Deck site. The 2016 Fall Sport Card & Memorabilia Expo runs from November 11 to 13 at The International Centre in Mississauga, Ontario. Full details on the show can be seen at the official website. 2 cards. 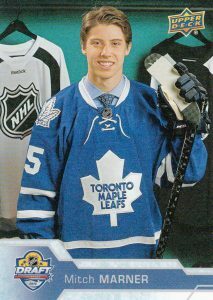 Part of Toronto Maple Leafs SP Draft Promotion. 15 cards. 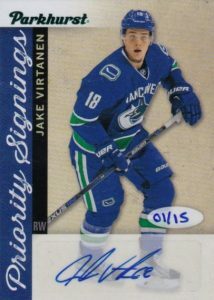 Serial numbered #/5. Part of Case Breaker Wrapper Redemption. 16 cards. Serial numbered #/175. These cards are good for UDA memorabilia at the Expo.